See the Publication Listing or LinkedIn for fresh writing samples. You can view older works and clips in the Publications in Detail archive. 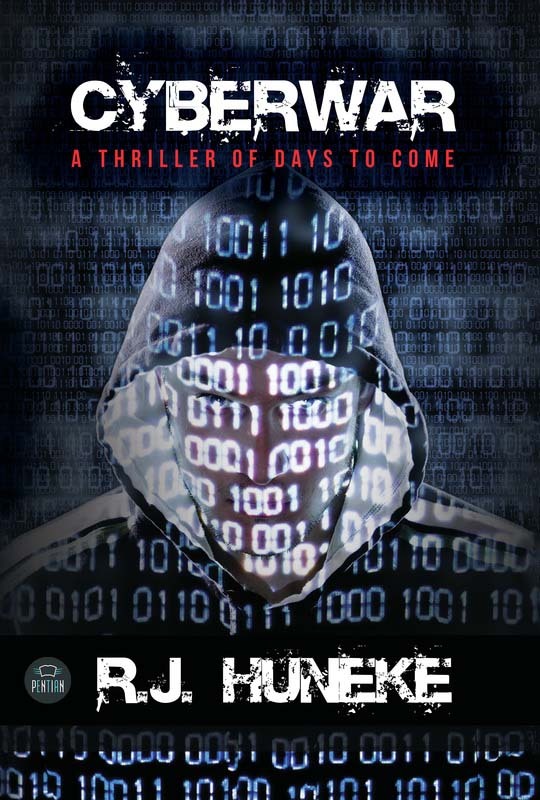 R.J. Huneke has spent years researching for his latest novel Cyberwar, which was published on May 5, 2015. A longtime writer and columnist, he has interviewed cyber security professionals, carefully examined advances in science (including robotics and artificial intelligence) and compiled modern day speculations on technology and spun them into an electrifying journey into a society mirroring our own that is dominated by cybernetic hackers. His extensive knowledge on cyber warfare, biohacking, and political protest, as well as his strong female protagonist are what set the riveting story apart.